We're 23 Days Away From Meeting Baby Number Two! You are here: Home / Family / We’re T-Minus 23 Days Until Our World Changes Forever! It’s hard to believe we’re only three weeks(!) away from meeting our second child, Jaxten Carl Smith! It seems like only yesterday Noah learned he was a big brother, and we learned we were having another boy. But it wasn’t! It was months ago and we’re in the home stretch now! It’s sort of funny picking your child’s birthday, and even funnier scheduling the exact date and time of their birth, like you’re scheduling a haircut appointment or work meeting. Modern medicine is awesome! It goes without saying that our entire house is super excited to have a new baby in the house! 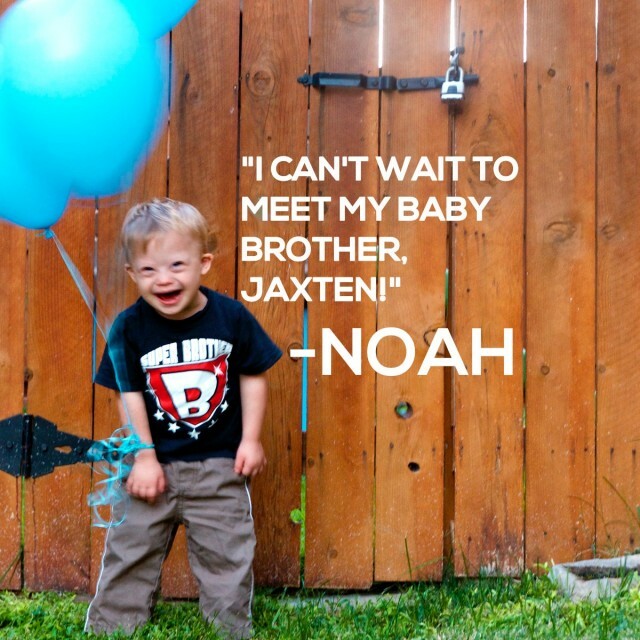 Noah for sure is pumped to be a big brother, and can’t wait to show Jaxten some of his awesome dance moves! I think it’s safe to say our world, and especially Noah’s, is about to change…for the better! Soooo happy for your family! What an exciting time. Noah will be an amazing big brother. Thanks. And we think so also! I think having two children or more is different because you have to give time and attention to both or all of your children and not just one. Where as you had two hands to give to one child before now you have one hand to give to each. If you get more than two then you have more kids than hands. Multi tasking is your friend. Also being careful not to treat them the same because they will both have differences unique to them. It’s easy to get into treating them the same because it is what you are used to. We have 3 girls and they couldn’t be more different from each other. And we are due to have our little boy Ben who will have T21 in late April early May and he will be completely different too from his sister’s. Thanks for your comment. This is a very wise statement that I’ve never heard before, :Also being careful not to treat them the same because they will both have differences unique to them.” What a great observation! 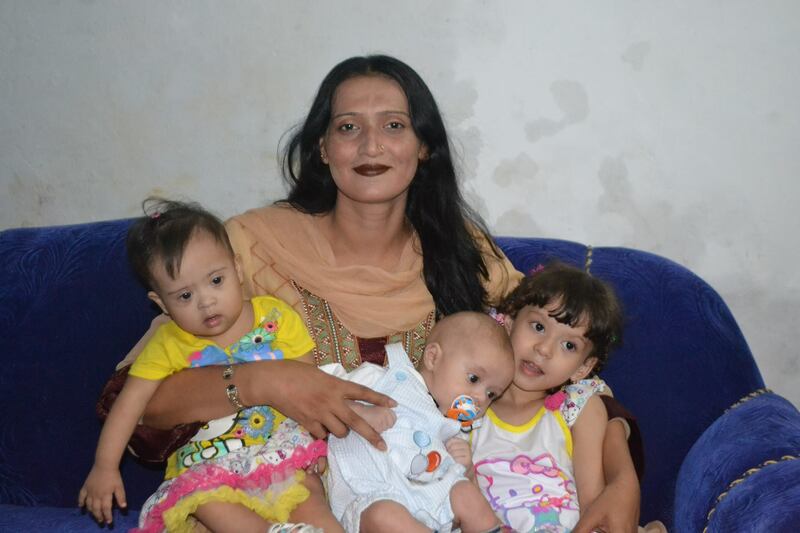 By the way, your family is beautiful, thanks for sharing the picture. I can’t wait to hear about Ben when he is born. How are things going thus far? How are you guys doing? Do you have a good support network and friends/family where you guys are from? Oh and also: One of the most wonderful things our pastor’s wife did for my oldest when my 2nd was born (that was when we lived in CA we are in TX now) was, that when we walked into the choir room at our church to introduce the new “baby Jesus” for the Christmas Concert, she made sure several people talked to my oldest first, asked her to introduce her sister, to help with the sibling jealousy. It really helped. She felt so proud to introduce her sister and tell everyone all about her. You sound like a loving mother. Thanks for the comment, and for sharing the picture of you son. He looks like an awesome guy! I wanted to wait until I had some experience, before weighing in, so ahem, here comes what I’ve learned so. I was where you are 19 years ago. 1) nothing prepares for being a dad. Everybody says of “course, that’s true”, but until it happens to you, it’s just words, and you really, really truly have NO idea, and then you do. 2) having one does NOT BEGIN to prepare you for two. Sorry. 3) at three, you are outnumbered. Your perfect man to man offense/defense now reverts to a zone. Good luck. At three children you’re outnumbered indeed! You just need to be there. Sure it’s hard at first with more than one child but it gets easier as time goes on. With my son AJ we had to spend extra time with him because he needed more help but we also tried to give our daughter some equal time. 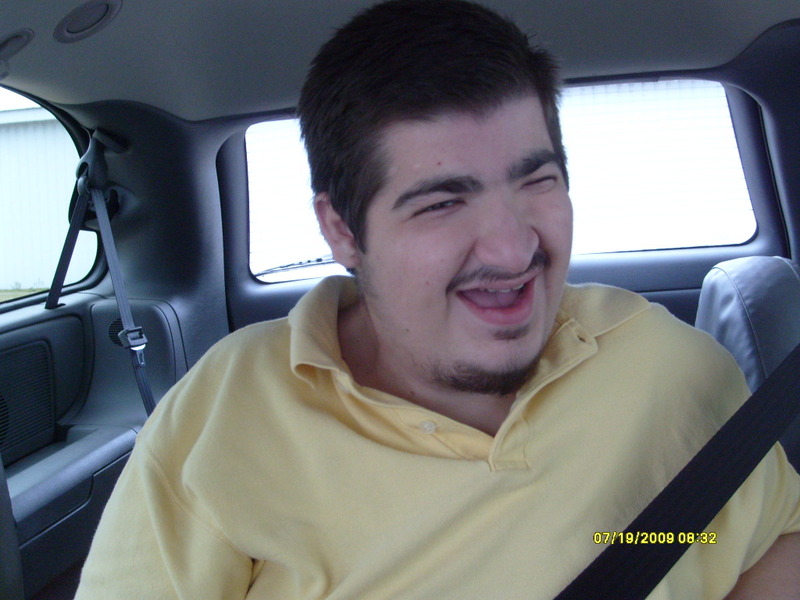 Something i didn’t mention before about my son ,was we spent hundreds of hours in the hospital with him due to several surgeries and procedures,some critical and some not so critical. You will be a great dad I am sure. Just make sure ylou and your wife get the rest and time together that you need. Great advice, thanks for commenting! We have two children. 3 years old and 10 months. Boy and a girl. A few things about #2. We were much more relaxed. Our daughter is nothing like our son was. Things that were easy with him are difficult with her. Ways he was challenging, she’s a breeze. When you hold your second for the first time your heart grows three sizes. And you understand how you can love more than you’ve already been doing. You’ll love love LOVE saying ‘my children’. (It feels like a different club almost). Watching them interact is amazing!! Divide and conquer will be your mantra. Congratulations. There really is nothing like it. You and your wife will begin to develop an even deeper understanding of teamwork by having a second child. Make sure (if your hospital has it) to order the big brother cake!! We also had our daughter wearing scrubs that had big sister written on them. She felt like one of the nurses/doctors that were there to care for me and my son. Wish you and your family all the very best. Thanks so much for taking the time to leave a comment and for the kind words! 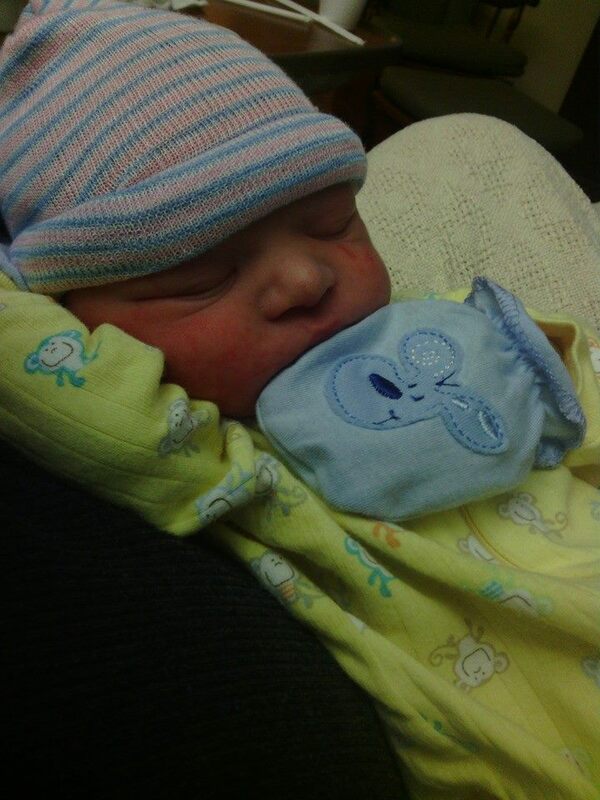 Just stopping by to wish congratulations to you, Abbie & Noah to your new addition to your family. You are the most prepared parents I know. ;-). We have 7, all 3 years apart except for the last 2. They are 15 months apart, tag team..lol. 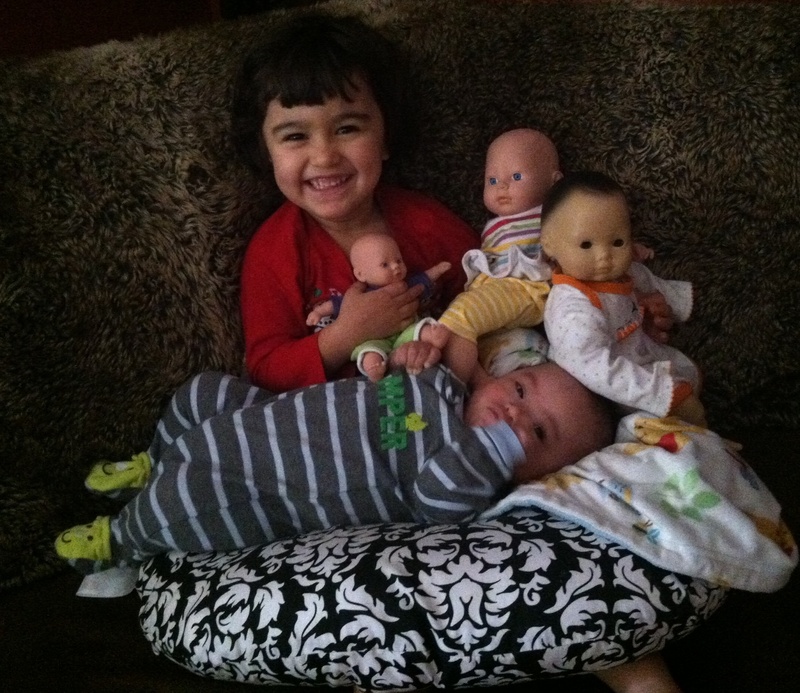 Our oldest has blessed us with two beautiful grandchildren in 24 months, she’s a busy mama! One thing I was very surprised by is how accommodating the second kid has to be. With my first, I was diligent in keeping her schedule and routines. The second kid didn’t get that luxury, but also doesn’t seem to mind the way my daughter did to distruption. Her busy schedule of school, ballet, piano, Girl Scouts, drama, cooking classes, and endless birthday parties means that my son often has to take his nap in the stroller or car. 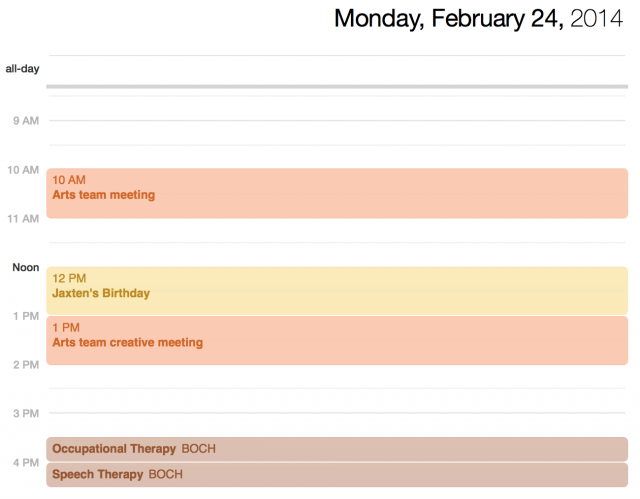 Having a second baby meant I needed to be creative in our scheduling and let go of some of my type A personality. I really don’t know how moms of many kids do it all. Another big surprise is that my daughter has never shown jealousy toward the baby, like so many parents told me to be prepared for. Our biggest challenge dealing with the sibling relationship is that she smothers him with too many kisses and cuddles, wants to play with him rather than attend to her own responsibilities, and keeps sneaking another book to read to him even when it’s well past his bedtime. It’s hard to limit good behavior. And just a sweet brag about sibling love… My daughter has entered a writing contest the past two years and both times wrote about her little brother. She won first place in her school and the entire city two years in a row, and even brought home second place in Southern California for one of them. She wrote these as a 6 and 7 year old! 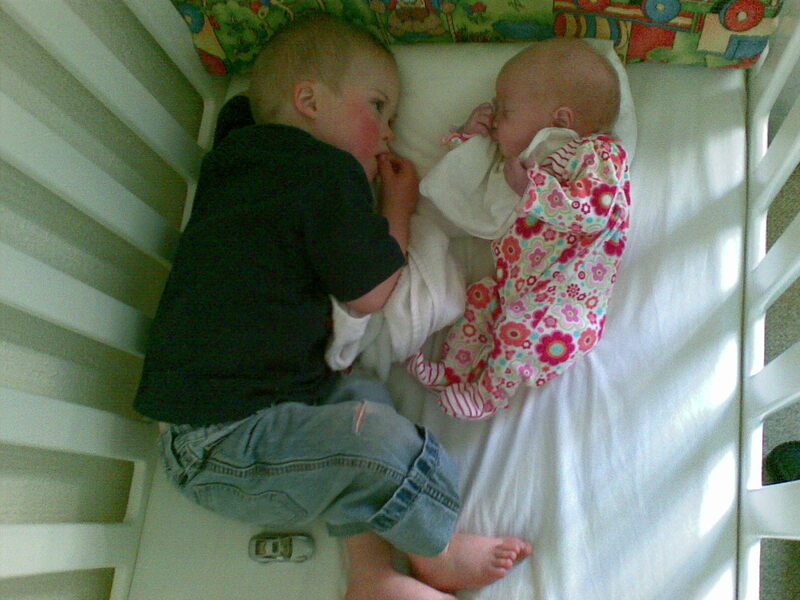 Sibling love is unbelievably beautiful! All our family is looking forward to when Noah would be an elder brother!!! How to be a big brother and sister of a special kid, we already know!!! Perhaps we will learn from you how to behave properly when our special boy, too, will be the older brother!!! God bless you!!! I can’t give much advice on going from 1 to 2 kids…we went from 1 to 3! 🙂 You may feel like you won’t have time for everyone but somehow it all works out. I remember stressing out about not having the money or time for one more baby and we were having twins. We did have some hard times and stressful times but God does provide. We had another shock when we found out we were pregnant with Logan (11 years after baby #1 and almost 7yrs after babies #2 & #3), He turned our world upside down and again we worried and stressed about how we were going to have the time and money to raise another child. My advice is to relax and embrace the chaos. It will all come together as it is meant to be. After a few kids, little things don’t matter anymore. Logan didn’t have the matching crib set, he doesn’t have half the gear the others did. If he dumps his bowl of snacks on the floor he and the dog have a great time! 🙂 Germs and dirt don’t bother you as much and when you get a moment of peace and quiet, you quickly begin to miss the chaos. I posted the wrong picture (due to one of my distractions). One more thing to add. Don’t ever expect another “perfect” picture. 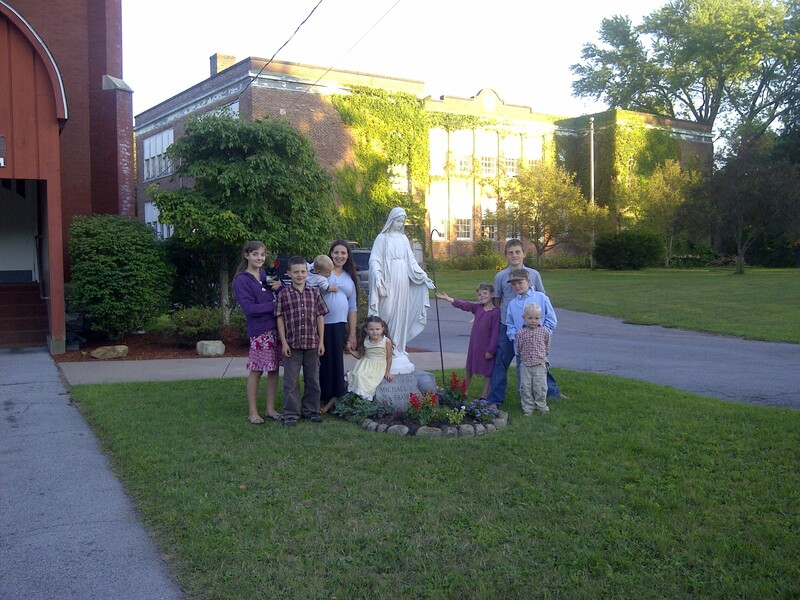 Each additional child compounds the difficulty of getting everyone to smile and look at the camera. 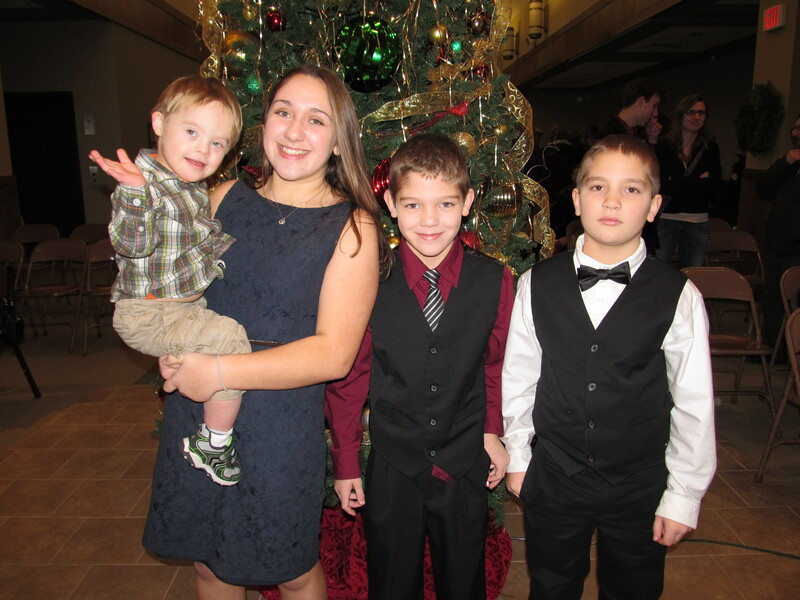 My daughter has mastered smiling and holding still so she is always ready for when the boys might cooperate! Congratulation on your new blessing! How exciting for you and your dear family! I am expecting number ten in August and to tell you the truth, I can’t remember the transition from one to two. For us it wasn’t to traumatic I guess. I do remember going from two to three though. That was a game changer for me and caused me to have to adjust in a lot of ways. It was all good though and we are so much better for it now. You really have to trust in God in all things and being “overwhelmed” can force you to lean on Him all the more. They are all blessings. Each so very different from the others. Once they are born it is hard to imagine your family without them. Because they are all meant to be. I love reading about Noah and your family. Keep up the awesome work! Good luck to you and God bless your family. 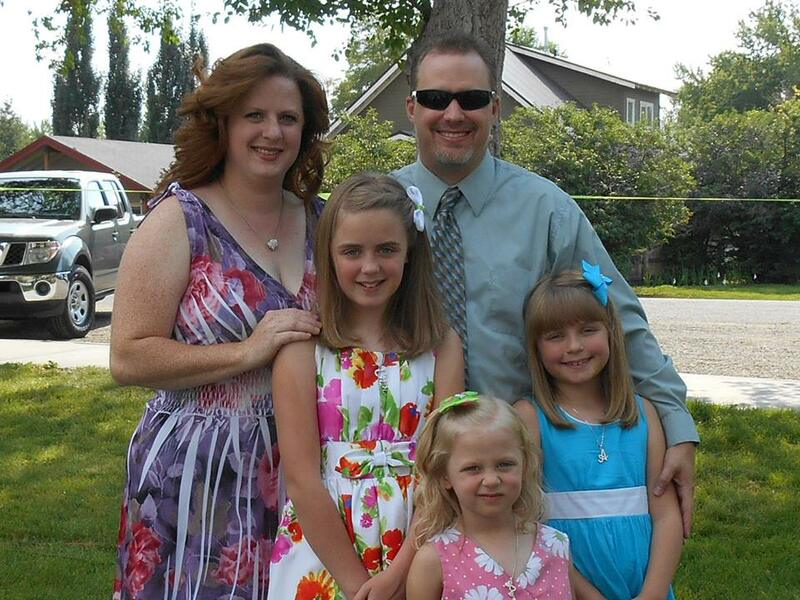 Here is a pic of my family when I was prego with number nine. Hans was 2 and a half years old when Sophie was born and the day we brought her home he led us to his room and he sat down on the carpet arms out stretched for her. We placed her carefully across his lap and he looked at her lovingly, looked up and said simply “Wow!” He then gently moved her off of his lap and onto the carpet and started playing with his books and toys. It was beautiful. 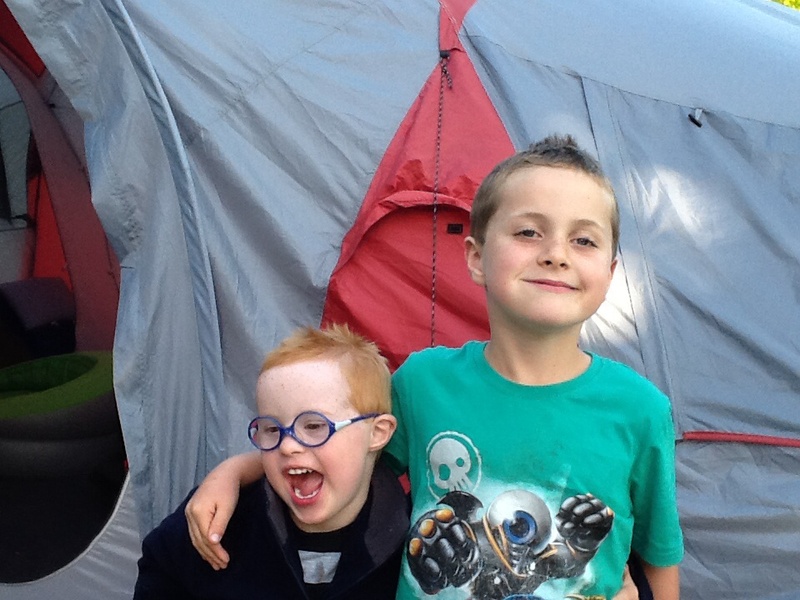 Hans has Down Syndrome, but that didn’t stop him from being a typical brother. From the moment that Sophie could crawl, he would wait until she was watching and then steal her toy and make a run for it. One day when she was not even 2 months old we found him lying in her cot watching over her as she slept, he had placed his favourite car right next to her. Whenever we went out and someone wanted to pull back the blanket to take a peek at Sophie, he would stand in the way , replace the blanket and say “shh” with his stubby little finger plastered to his lips. I walked into the lounge when Sophie was about 10 months old to see what the fuss was about, to find her screaming at him because he had stood in front of the plug point, which she was desperately trying to reach, he knew it was dangerous and stood his ground. Hans used sign language a lot until he became more vocal around 4 years old and Sophie would come to me using signs I had never taught her, I soon realised that she was learning so much from him. We included Hans as much as possible, carrying bottles and passing nappies and baby products. He would want to help carry the nappy bag and push the pram, we helped him to help Sophie and he always felt special being able to do so. Downs kids are easy going, she has been my highly strung child and taken on a typical “first child” roll and Hans has been happy to let her. He is now 7 and she is 4, and they are as thick as thieves. They have each others backs. So great to watch. Enjoy every second of this new adventure, it goes by so quickly. I am very excited for your family. Every day I look forward to read your post. 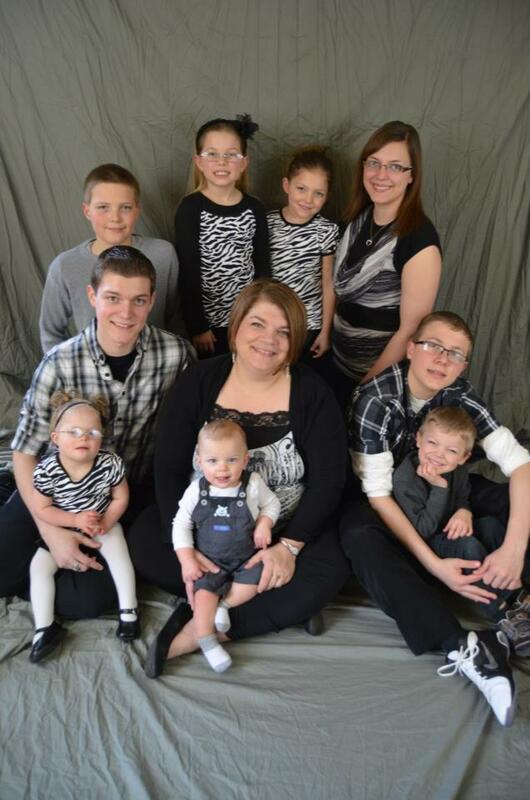 I’m the mother who has 9 wonderful children with one special need. Can’t wait to see pics of Noah and his baby brother. 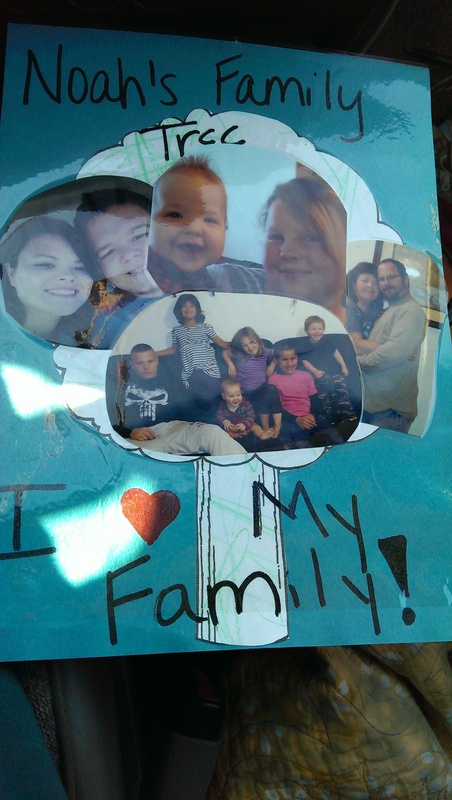 Here is a family photo project from my sons class. With some of my babies. One has my oldest daughter and her husband. All of these comments about people preparing their oldest for the new baby reminds me of the “tactics” I thought I would use when we had our third baby. I would ask my son, who was then three years old, to help Mommy. I have nine children ages 20 down to 18 months. 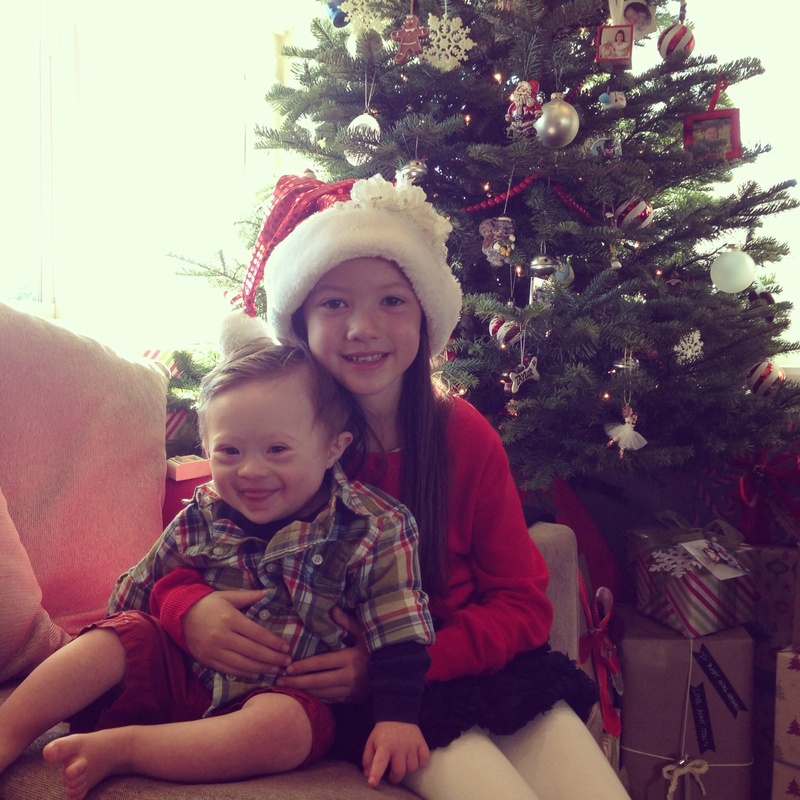 My eight child, who is now 3 years old, has Down Syndrome. So glad it’s he’s almost here….I know you can’t wait to hold him! You are so blessed! Noah will be the greatest big brother ever! We have 8 children 19yo down to 21 mos and I totally agree with the post above. I never go anywhere alone and hubby doesn’t very often. #2 was definitely the hardest. He had colic and big sis was not very understanding of that. My biggest mistake was not buying a good sling so I could hold baby and take care of the 3yo too. Well, maybe my biggest mistake was reading that Mr. Rogers book that was supposed to prepare my oldest for being a big sister (mommy and daddy might be busy, you might feel angry, etc.). I had no idea how negatively that would affect their relationship. With the others we prepared the toddler by getting them very excited about this amazing blessing they have been given. Sounds like you’re doing a great job at that! Can’t wait to see Jaxten and I love the name! I love love love love love! 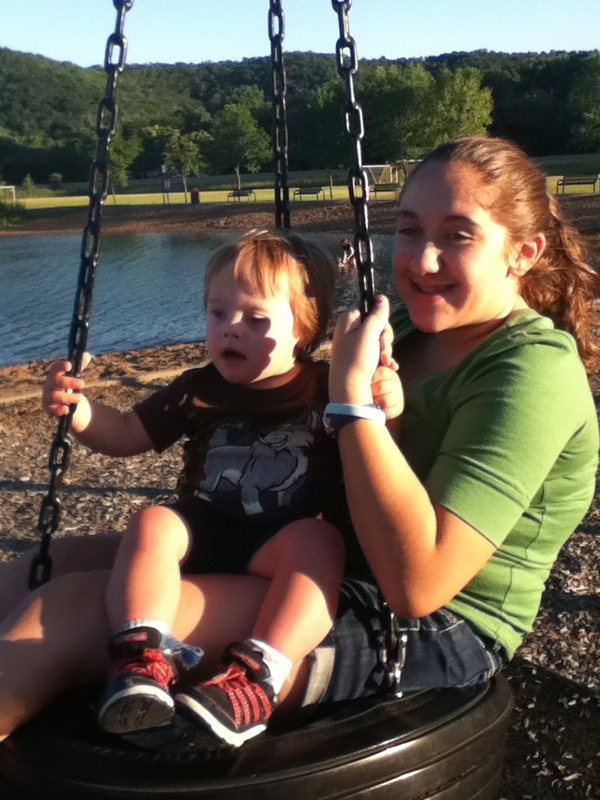 Being a mother of two though my first born went to be with the lord almost 3 yrs ago she also had down syndrome. I find with patience and nurturing love? Anything is possible with two children. My Arya is 1 1/2 months old and she’s my little rain of fun and excitement. Being a parent alone is an honor by god and a gift! He blesses every one with beautiful babies and some more blessed 🙂 being a parent of two is a struggle but its always an adventure you have two hands one for your oldest to hold onto and your second to hold onto. You as a parent guide your second child as you have the first born you have equal love for both and shower them with love and kisses! Plus story time at bed time is even better because you have another one to read to! 🙂 I wish you guys luck and Noah a happy day!!!! 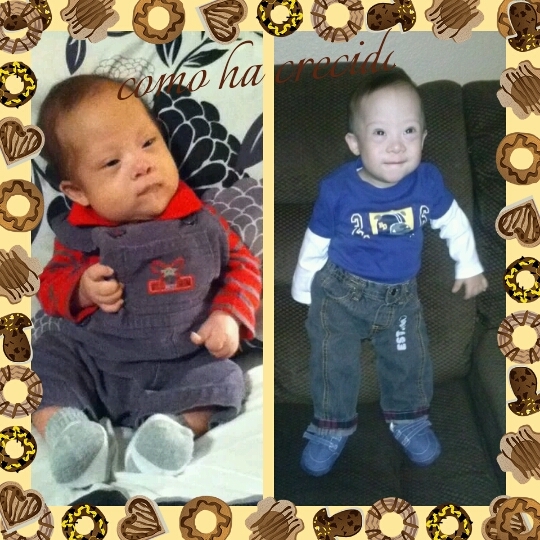 Hola muchas Felicidades x su nuevo baby y Noah estara super happy x su new brother.! !!!!!!!! That’s so awesome, congrats to you and your family!! Thanks so much for the kind words! We really can’t wait. Congrats, I am so happy for you guys. I have been reading your posts since Noah was few months old. Always encourging. I have a 20 months old with DS. 4 years old and 9 months old. Its overwheming but amazing feelings. My mother is helping us otherwise it would have been really hard for us. Congratulations on the new upcoming baby Jaxton! I follow your blog regularly and would like to thank you for having the courage on sharing something so personal and beautiful as Noah is. I had to have an emergency C-section with my first child; he breathed in too deep when they took him out and punctured a hole in each lung. His head had to be kept under an oxygen dome and he had to be under heat lamps. I was not allowed to hold him for the first three days of his life. I could only hold his little hand and talk to him. He would look and me and listen to every word. It was hard seeing him hooked up to all of the wires and everything else. My son is older now and is going to be 5 this March and he has a learning disability; he has traits of autism and Asperger’s, just not enough of them to diagnose him; a lot of his traits overlap. I tried to have my second child naturally; I was a week and five days late when I decided to have a C-section. I can honestly say a planned C-section is much easier than an emergency one; my youngest turned three last November.. My oldest loves his little brother; nobody can get mad at his brother but him. His little brother has helped him in many ways. He was having a hard time with speech, potty training, playing with others, and understanding things that are said to him. His little brother repeats words back to him; he has encouraged him to potty train, get him to play with others and shows him what to do when he doesn’t understand the question. They keep me on my toes. 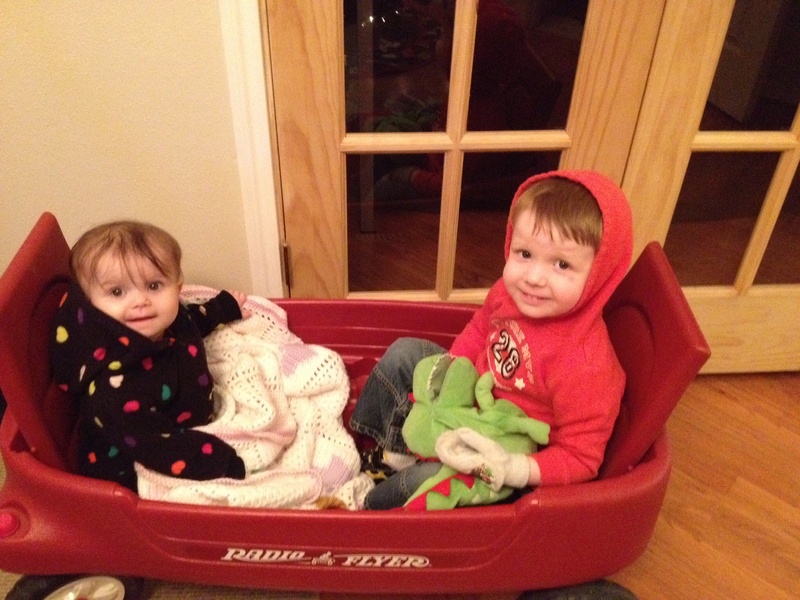 I would not trade them for anything; I love my two little angles.